This wonderful royal bouquet is skilfully arranged using only the most beautiful white avalanche roses with stunning germini flowers. 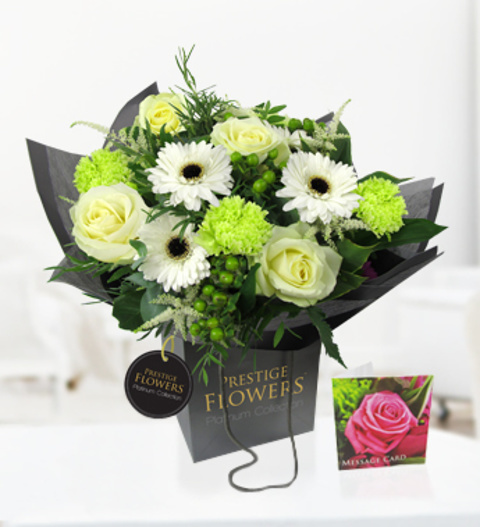 This Prestigious Windsor bouquet is admired with berries, astilby, hypericum complimented with royal garden foliage. This is our finest bouquet available from our Luxury collection. Our Windsor royal arrangement comes with Luxury bag. The royal bouquet is available for UK next day delivery.